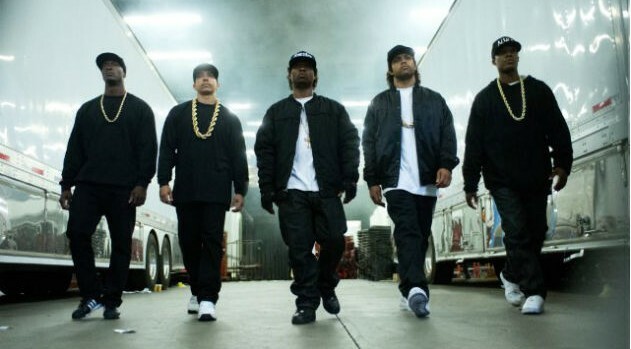 UniversalIf you’re wondering what to expect from the highly-anticipated film Straight Outta Compton, N.W.A. member Ice Cube reveals that the biopic is an accurate portrayal of the band’s rise in hip-hop. Although they were known as the originators of gangster rap, Cube tells ABC Radio that there’s plenty of laughs in the upcoming flick. While viewers are sure to get a history lesson on the legendary rap group, Cube points out that their influence has had a trickle-down effect in pop culture. Cube also spoke on the possibility of there being a reunion tour in the near future. “We wish, you know what I mean, you know it’s a couple of people that got to agree but it’s not an easy nut to crack but it’s not impossible,” Cube says before bandmate DJ Yella interjects: “I’ll tell you what, it’s closer now than it was 15 years ago.” Still, Cube remains optimistic about touring with the band. “Straight Outta Compton, you know, we thought that was impossible too, but here we are,” he says. Straight Outta Compton opens Friday, starring O’Shea Jackson Jr., Corey Hawkins and Jason Mitchell.